The motor yacht Pedro Levante 32 (our "Hetty") is ideal for couples. The open character of the inner nave gives you a generous sense of space. The stylish interior guarantees a comfortable holiday pleasure. 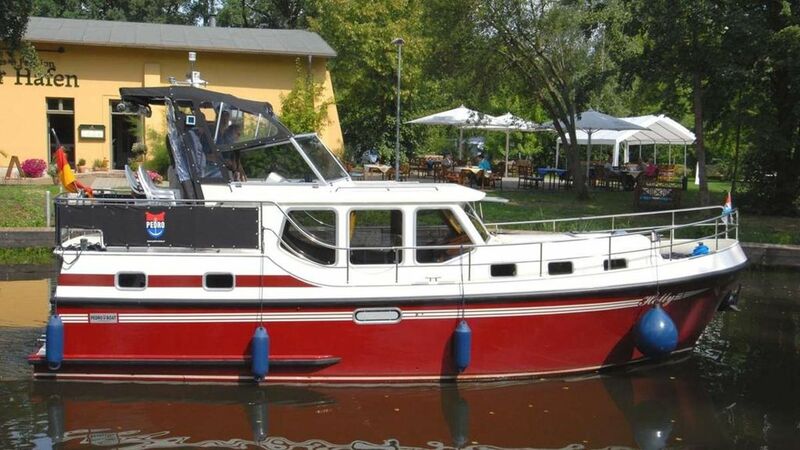 Engine: Perkins Diesel, Power: 86 HP, Length: 9,70 m, Width: 3,50 m, Draft: 1,00 m, Headroom: 3,70 m, Diesel tank: 300 l, Water tank: 200 l, Waste water tank: 150 l, 2 persons + 2 persons per extra bed in the salon. Our idyllic Marina "Old Harbor" awaits you with a fleet of currently 16 fully equipped yachts. Our harbors are located on the Upper Havel, directly between Berlin and the Mecklenburg Lake District.